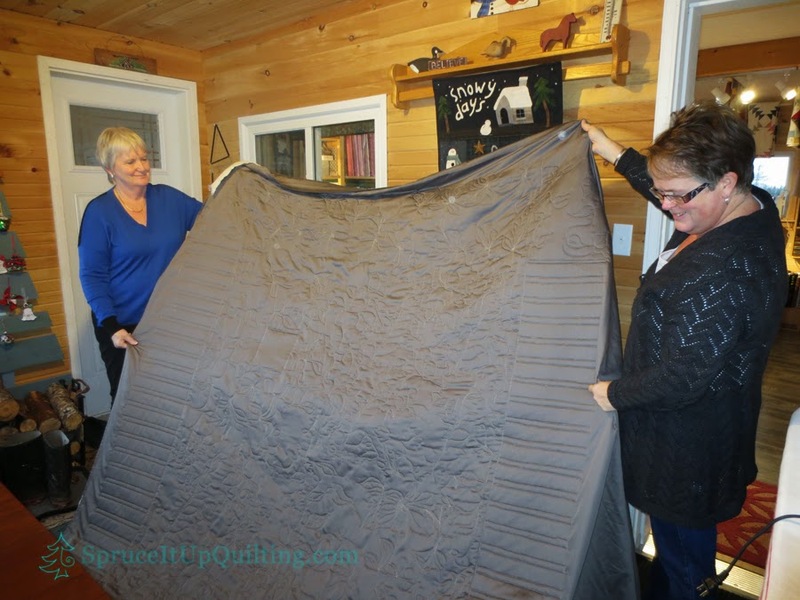 Spruce It Up Quilting: Jill's bedspread! 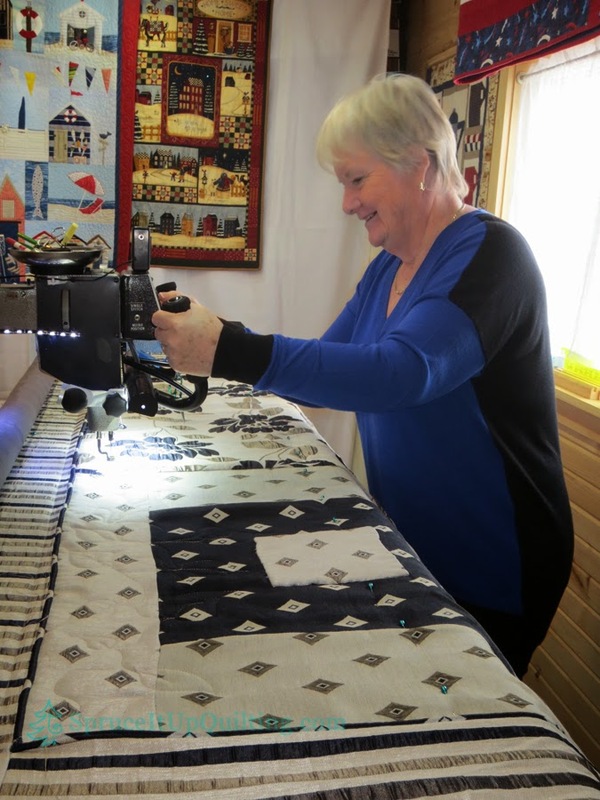 Jill was anxious to try her hand at quilting the beautiful bedspread she made using high quality decorator fabrics. She sewed it to fit her bed with pieces that were fairly large. She even added piping around the center blocks. 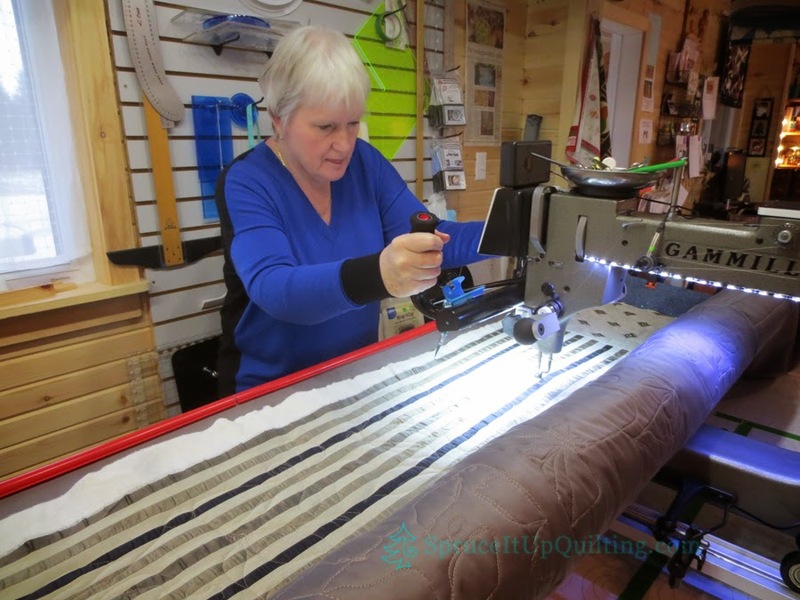 There were two choices for quilting: 1) careful pantograph selection to make it fit the center and borders on the outside of the piping, and 2) free-motion quilting with a leafy design. Jill decided to try free motion. 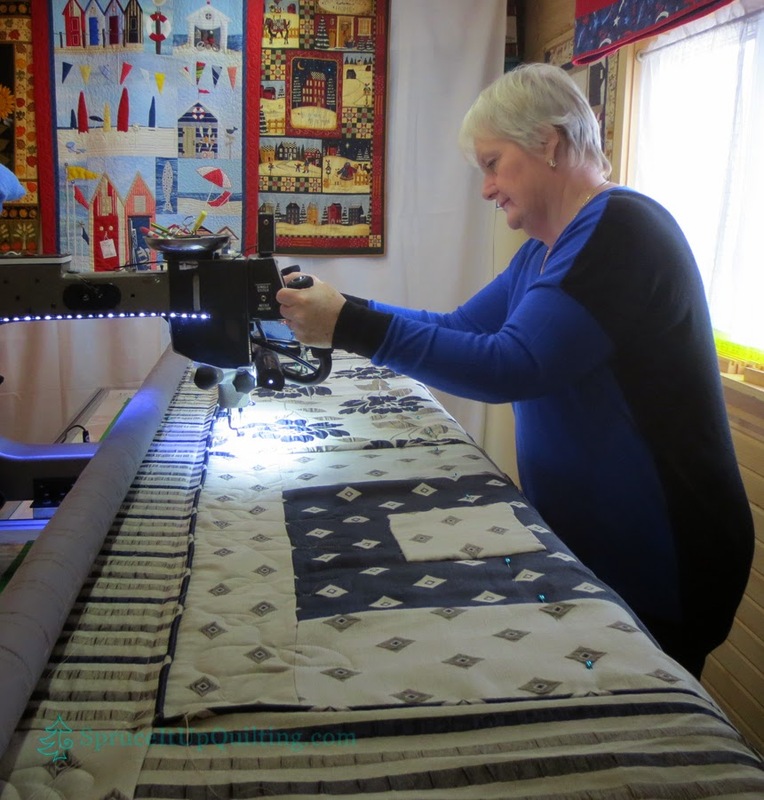 She opted to quilt piano keys for the striped borders on either side of the quilt. Then it was on to leaves... Jill was fabulous at designing her own leaves to coordinate and mimic those on the fabric. 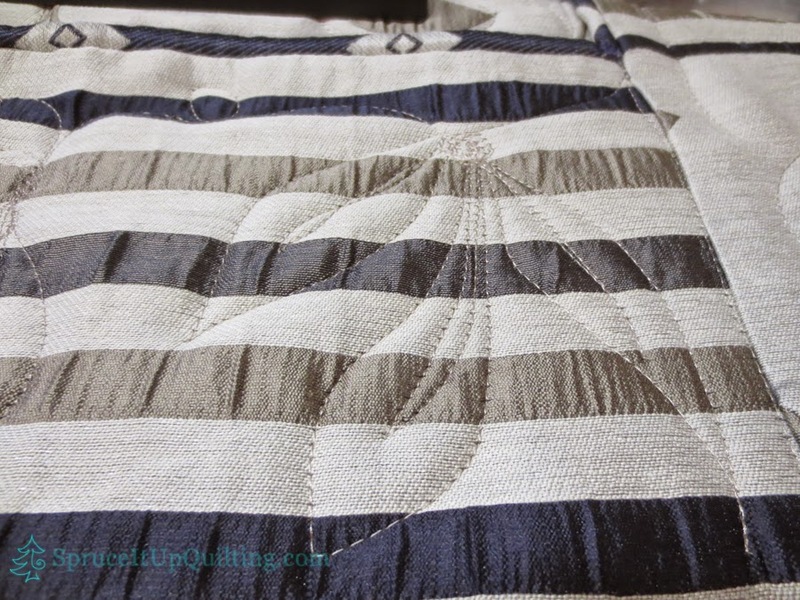 Then we turned the quilt to free motion the top and bottom sections. Thread is by FilTec's Glide in Warm Grey 6. Batting is 80/20. 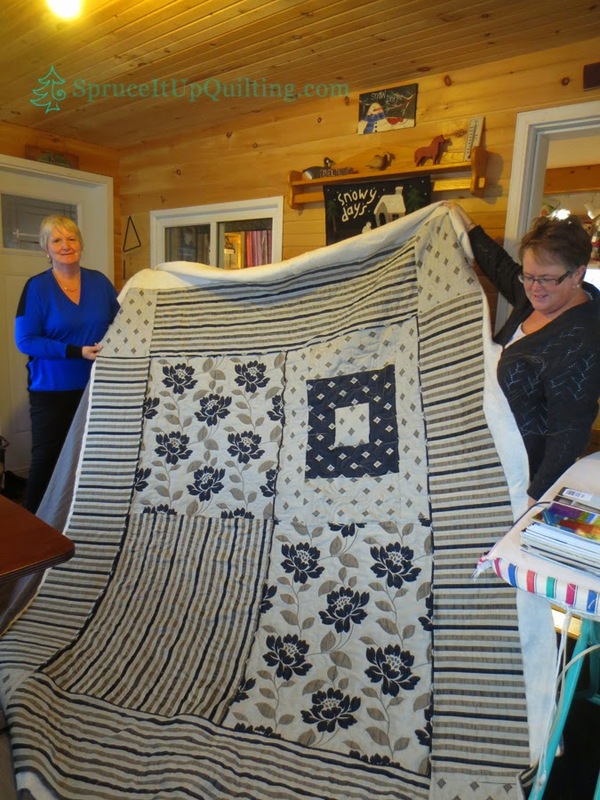 What a big coverlet! Heavy too! A job well done Jill! 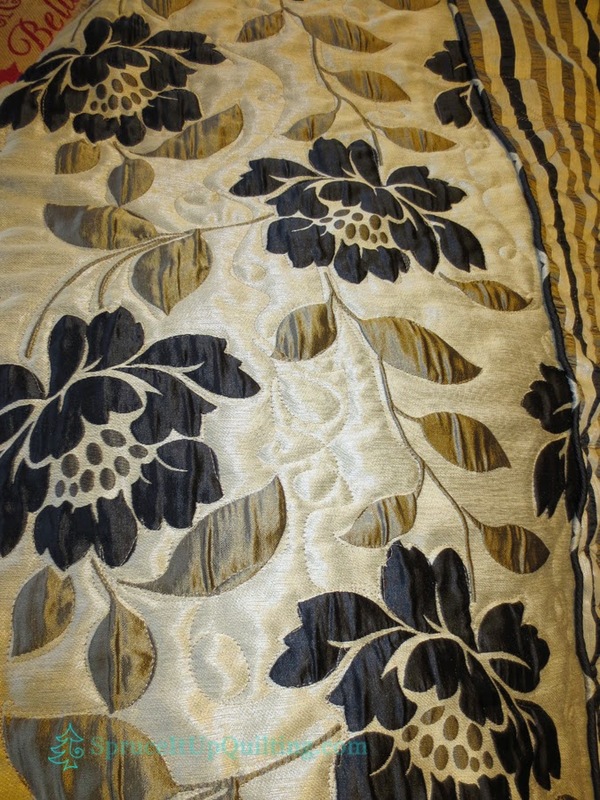 The backing is a 600-thread count Egyptian Cotton Wamsutta sheet, so soft and beautiful. 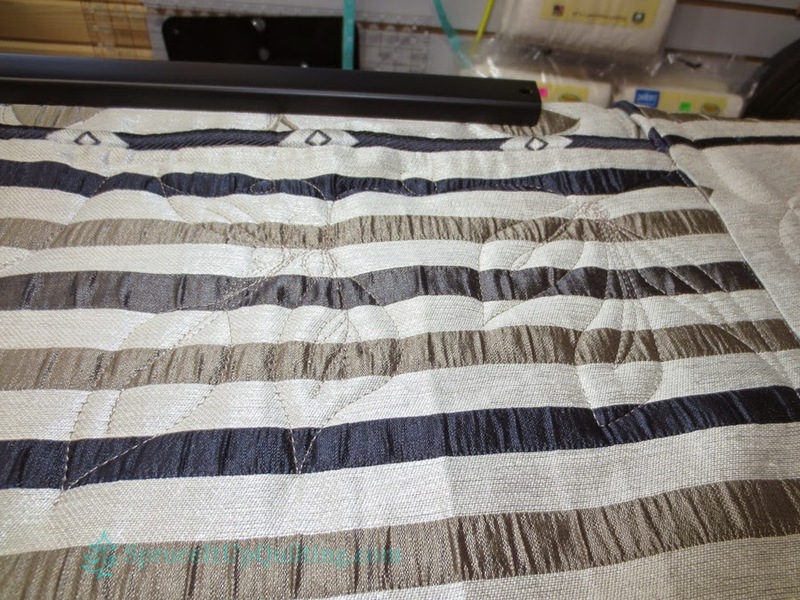 Jill isn't done with this one though... she plans to add a wide silky border/binding in French Navy. I can't wait to see it when it's done!